Choose 1 or more size here. 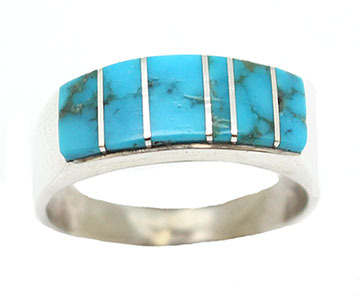 This sterling silver cast ring shank is turquoise inlaid on top with silver dividers. It measures a little over 1/4" wide and 3/4" long inlay. Native handcrafted by Navajo artisan Rita Ybarra. Now available in size 9 only. Can be for a women as well.